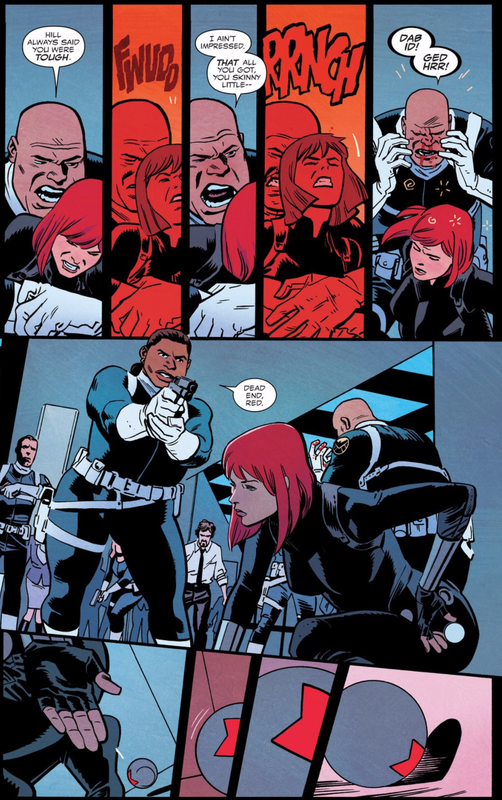 Black Widow is only one issue in, but it's one of the Marvel's most anticipated releases. Chris Samnee and Mark Waid work together again after Daredevil, and Natasha returns! 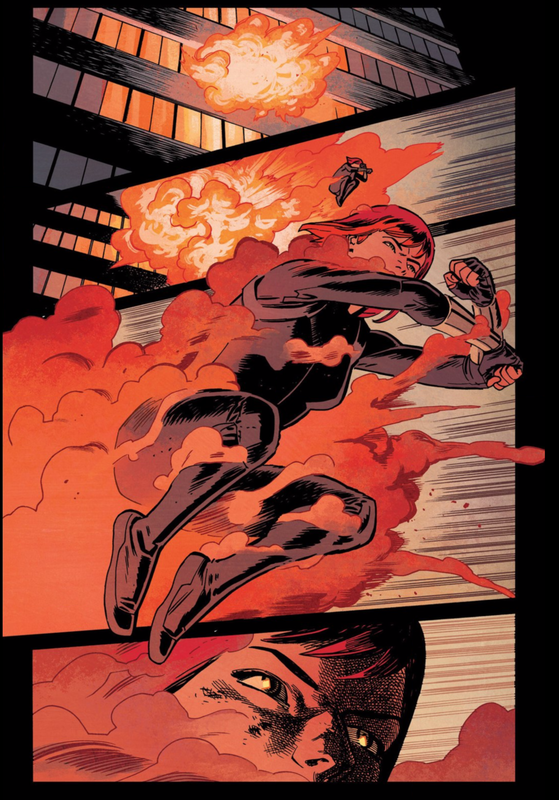 Daredevil got his own Netflix series with a team like Waid and Samnee behind them, and the Ed Bruebaker editions, I want to believe Black Widow will be a huge success as well. This is set in post-Secret Wars era, and it starts off with a very angry Maria Hill, who still manages S.H.I.E.L.D. Natasha is on the run and we read her dramatic escape. It's bloody, adventurous, and it leaves the reader wondering what will happen next. It's a strong, independent woman, running away from her dangerous past, not sexualized, beating up men who want to kill her, and that's a comic I want to read. Now that she's disconnected herself from the most powerful agency in the world, Natasha can be free, or can she?? Read the comic here!